How about Roar and Countdown to Christmas? 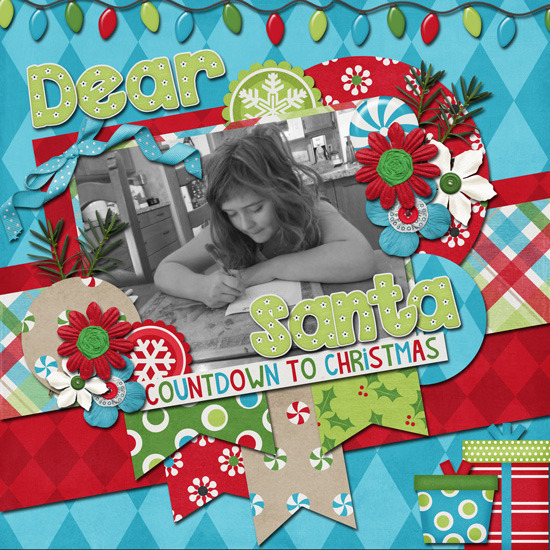 Countdown to Christmas is a wonderful kit to scrap all those recent Christmas memories and Roar is a fiercely inspiring kit that would be perfect for many different occasions. 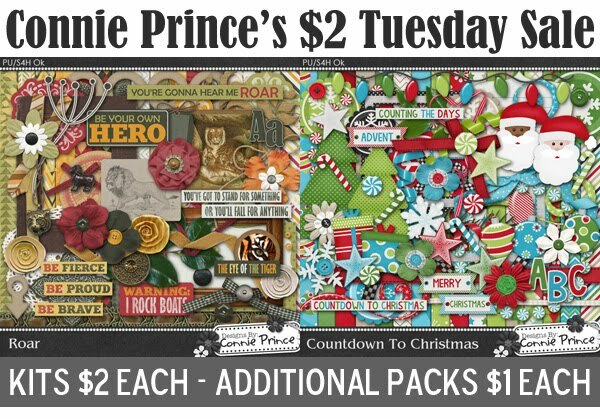 Each is only $2 and all the coordinating add-on packs are only $1 each. 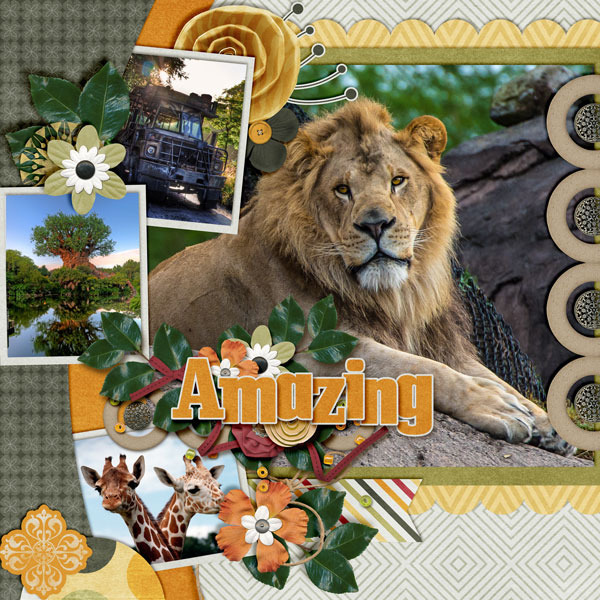 Here are two inspirational layouts made with these kits from Connie's talented Creative Team. Connie's latest release, "Cheers," is 40% off through tomorrow. 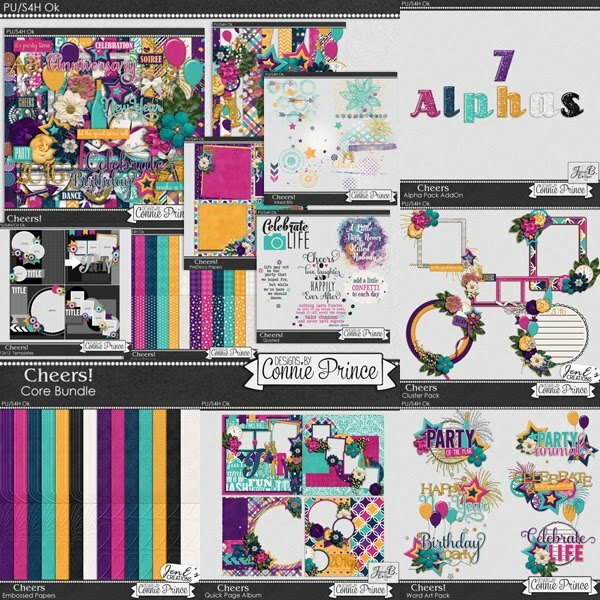 Vibrant fun colors, lots of great elements, and awesome papers await you in this collection. What will you make with this kit? 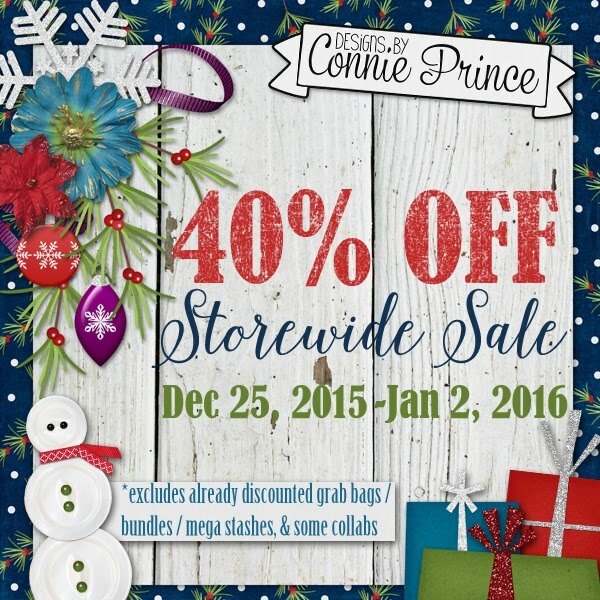 Connie is closing out the year with a 40% off Storewide Sale. There are a few restrictions but this deal only happens every once in a while. You know you have some things on your wish list that you really want. It's a great time to build your scrapping stash. It's time to clear space in Connie's store for all the wonderful new kits/products coming in 2016. 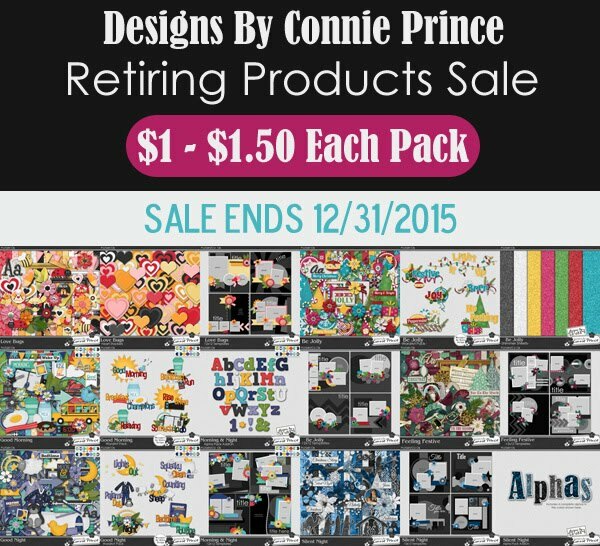 Check out the 58 products Connie has in her December 2015 Retiring Products Sale. Not all are show in the preview so be sure to check out the stores! The other day I posted a freebie of element bits using Tinsel Town. If you downloaded it, trash it. As I was working on a different set of element bits today, I noticed that they weren't saving correctly. There was an update to CS that I didn't catch when I exported the layers to files. Instead of saving at 300 ppi it dropped to 72. GAH!!! I made a different set of element bits to give away in today's post this time making sure these were saved at 300 ppi. I'm sorry about the other set. Live and learn I guess. I hope today's makes up for the other. The cluster is made from pieces you'll find in the kit. The fabric strip and tag were made from papers in the kit. I loved how they turned out! Enjoy today's freebie and I'll see you back here on Thursday. Thank goodness you caught that. Updates are so stressful. I try to put them off as long as I can. Well except for my camera. It's back focusing so I'm hoping the firmware update fixes that. Lori, sometimes updates are my new best friend and then there are times I want to pull my hair out. Since changing to the subscription of CS it updates automatically and sometimes I don't even notice a change. Though there are times where it resets all my preferences and changes the way the workflow is set up. It has it's positives but sometimes the tweak changes something very important. I'm sure there's a way to set it where the save layers to files to be at 300 dpi but I haven't had time to play with it. I just made individual element files this time. Before I make a set of washi tape I'll have to figure it out though. I like to make one whole page of washi tape at one tine. I just noticed that the font got really small on the last part of this post. Love Blogger deciding that for me. Not. Though I did find that Windows Live Writer put out a new version called Open Live Writer. I downloaded it Tuesday night and I'm using it to get Thursday's post done. Yay!! Back to familiar!